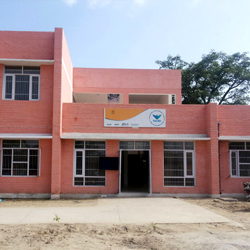 Punjab Skill Development Mission is conducting placement linked short term courses in different sectors like Retail, IT and Healthcare etc. which includes a separate module on English and Soft Skills. However, it is felt that many jobseekers including those professionally qualified may need an exclusive course on soft skills. 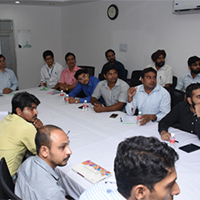 To address this, PSDM has starting a District Level project for development of soft skills especially in communication skills for the youth of Punjab in collaboration with District Bureaus of Employment and Enterprises (DBEE) & Regional Institute of English(RIE), Chandigarh, Central Government Institute. There will be two levels of course: Level 1 is a basic course and is for candidates whose level of education is class 10th. Level 2 is the Advanced Course and is for Candidates whose level of education is diploma after 10th /graduation. Contact:- District Project Management Staff of Punjab Skill Development Mission or District Employee Officers/DBEE for further details. Job oriented Course sponsored by Government of Punjab at nominal fees. Counselling, Career Guidance and Job Assistance by District Bureaus of Employment and Enterprises (DBEE). 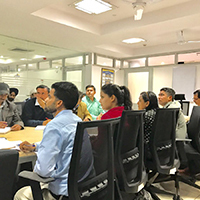 Teaching and Learning Material prepared by experts from Regional Institute of English (RIE), Chandigarh and EFLU (English and Foreign Language University) as per the needs of youth of Punjab. Course Delivery by qualified and certified trainers. Small Batch sizes with activity based learning for the candidates. 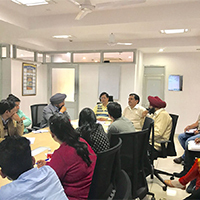 Continuous Assessment and Certification from Punjab Skill Development Mission and RIE (Government of India Organisation). Welcome kit worth Rs 1000 for enrolled candidates which includes Books, Note Book, CD, Stationery and one Bag. 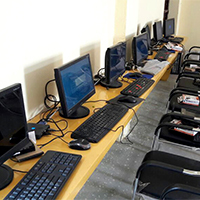 The project will include a course of total 120 hours (Communication Skills 60 Hours and Personal Development Program 60 Hours), having 2 hours’ class on a daily basis. A nominal fee of Rs 1000/- will be charged from the candidates. In case of candidates where family annual income is less than Rs 2.5 lakh, Rs 500/- will be charged from the candidate. In this case a Self-Declaration Family Income form will be given by the candidate.